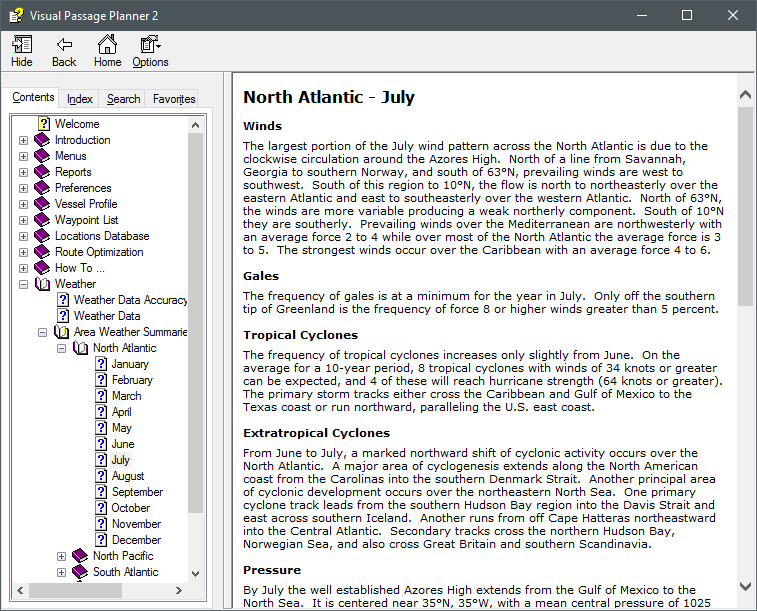 Welcome to Digital Wave, makers of Visual Passage Planner 2 (VPP2), the only Pilot Chart based passage planning and optimization software. 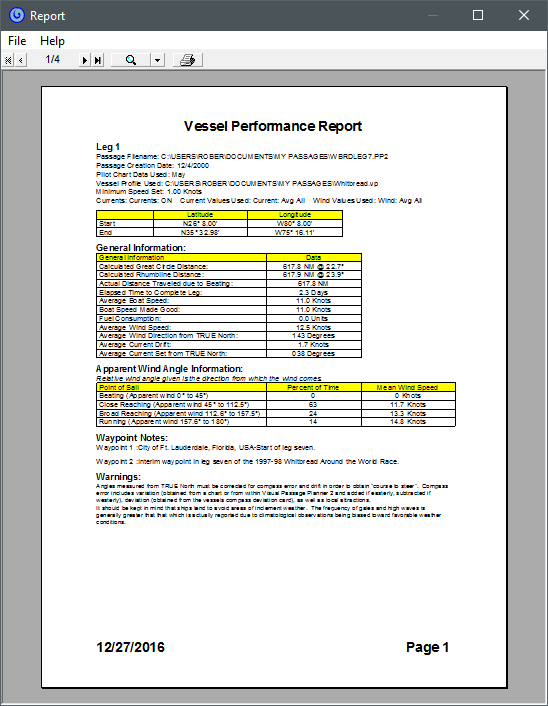 The official NOAA pilot chart data was used in the development of VPP2. It includes more than one hundred years of world wide weather observations at both 1-degree and 5-degree resolution. The data includes. 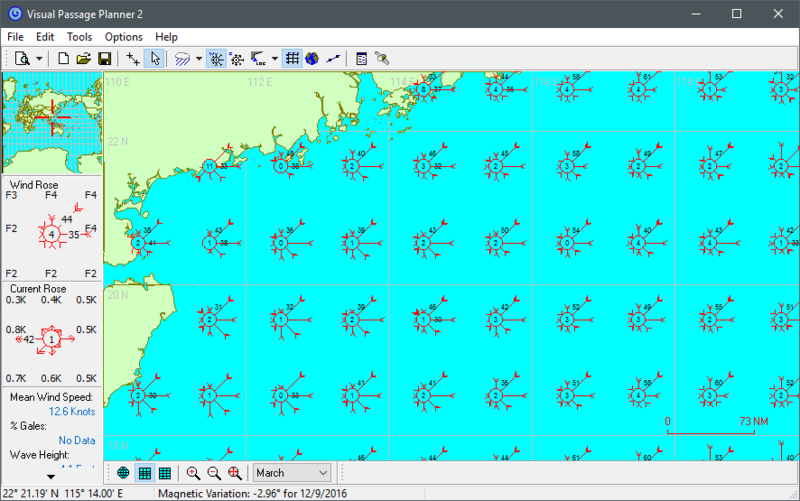 Wind Roses, Current Roses, Mean Wind Speeds, % Gales, Wave Heights, Sea/Air Temperatures, Dew Points, Atmospheric Pressures, and Icing. Data for the entire world (75°N Lat. to 75°S Lat) for all 12 months is included. 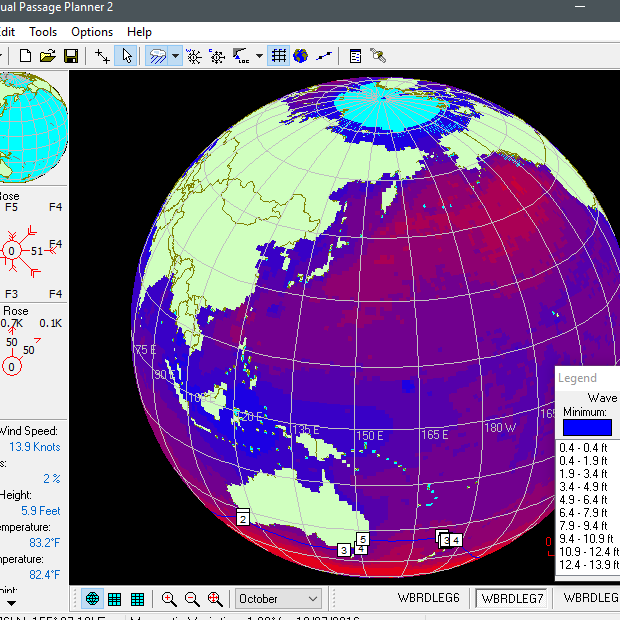 VPP2 comes with a global 1:1,000,000 scale map that can be viewed in a variety of ways. 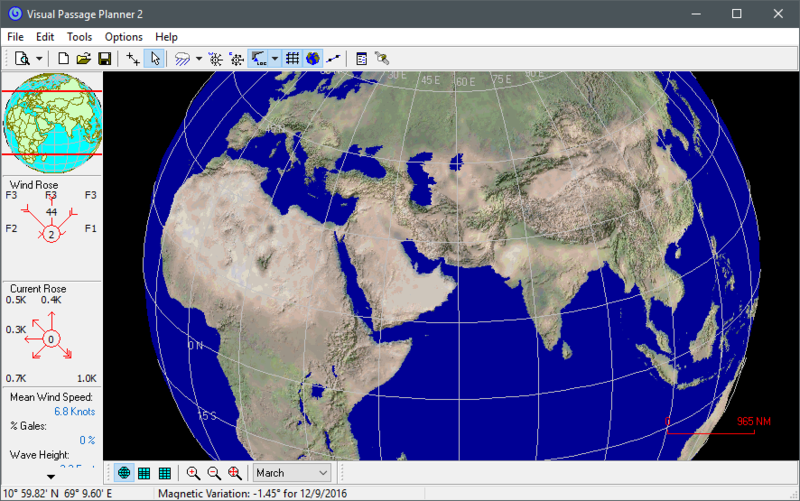 Three different map projections are available with the click of a button: Spherical, Mercator, and Cartesian. 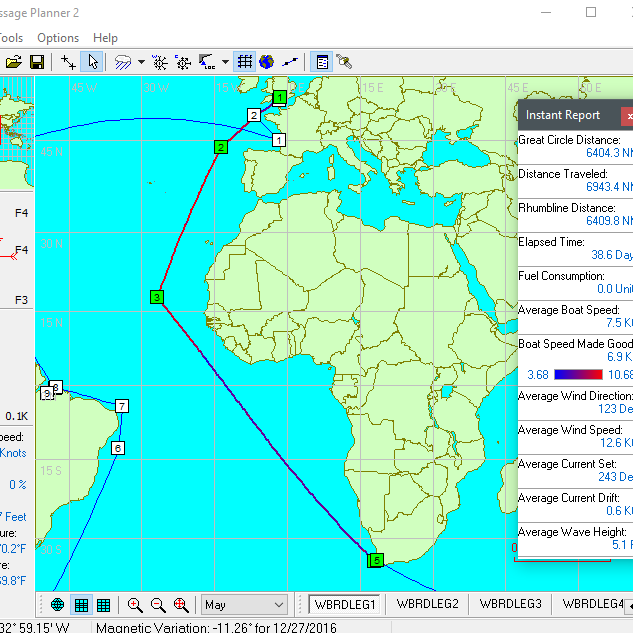 A straight line is not always the best route between two waypoints across an ocean. 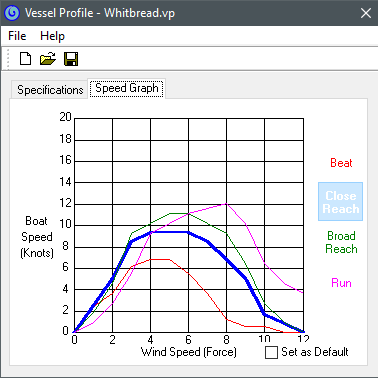 Wind direction, currents, and vessel speed characteristics can combine to make the fastest route different than the rhumbline course. Also, the fastest route may not be the preferred route due to unacceptable wave heights or the desire to remain in warmer water temperatures. 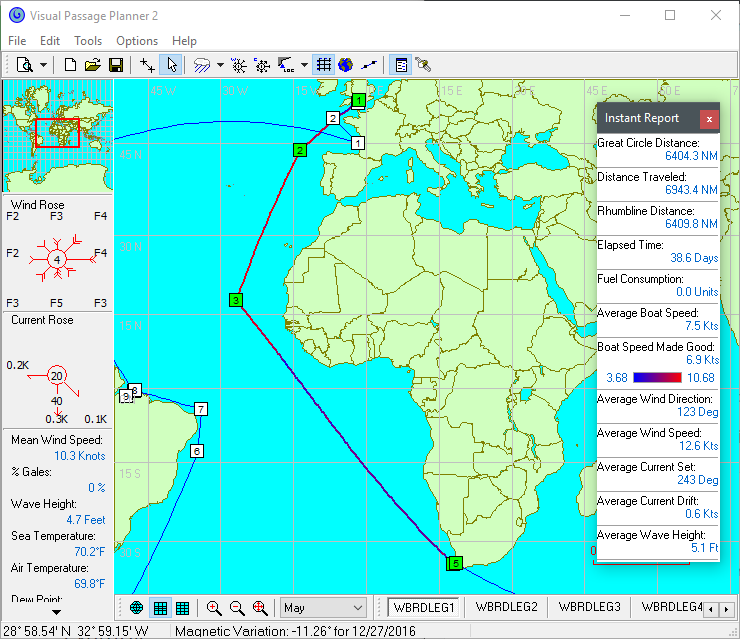 If you plan your route with a minimum of widely spaced waypoints, VPP2 can automatically generate a set of intermediate waypoints indicating a potentially faster/safer/warmer/etc. 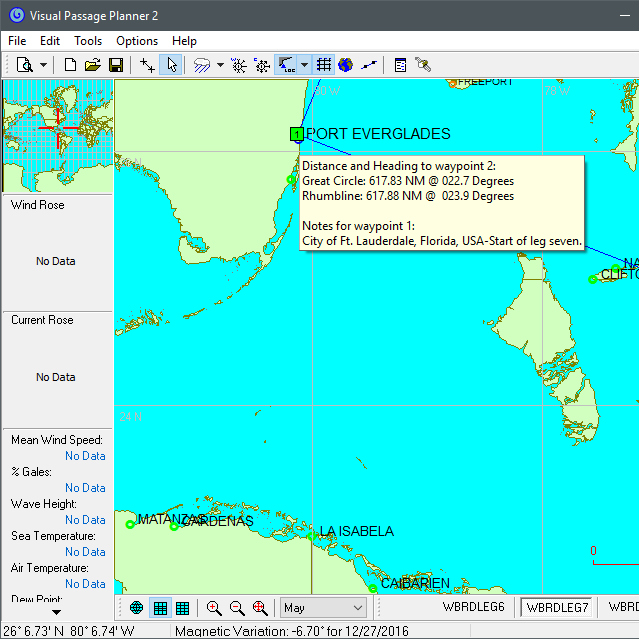 route for your vessel. 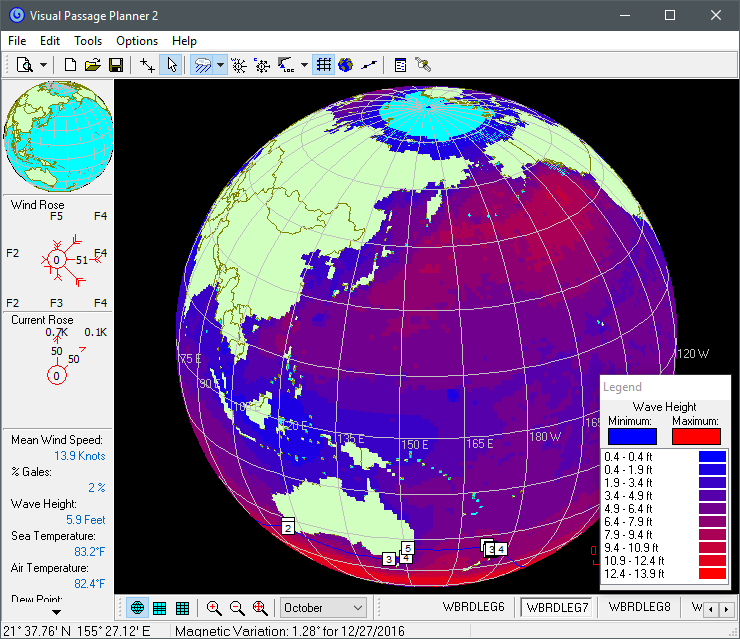 You can purchase Visual Passage Planner 2 (VPP2) directly from Digital Wave and download it immediately. No subscriptions. No renewals. Nothing additional to purchase. 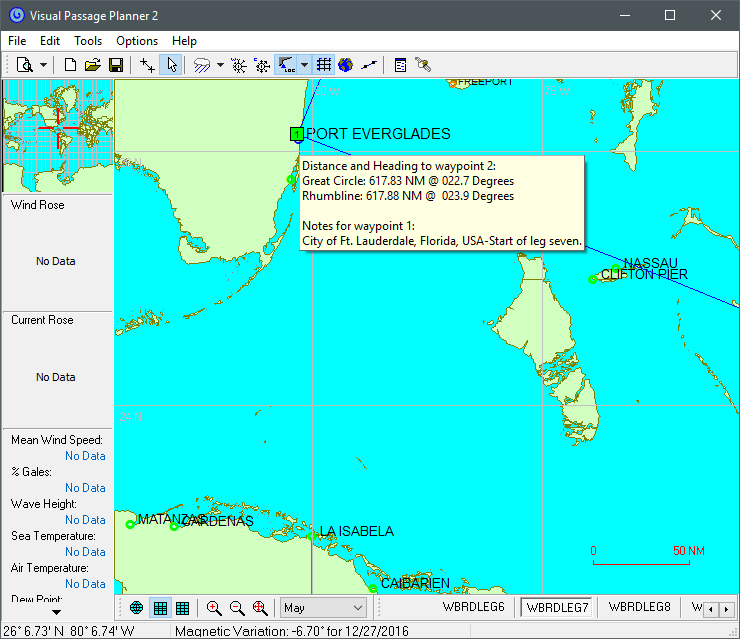 - Only 5 degree resolution Pilot Chart data for the month of January is available. - The Automatic update feature is not available. You must enter the word 'DEMO' when asked for a serial number during the installation. 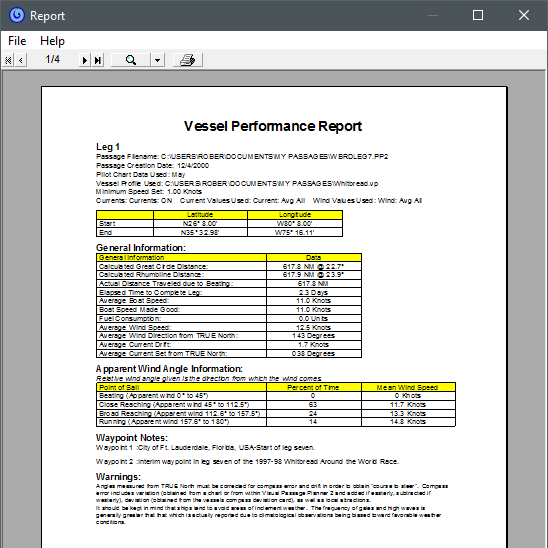 "Visual Passage Planner is a powerful passage planning tool that deserves a place in every navigator's laptop." 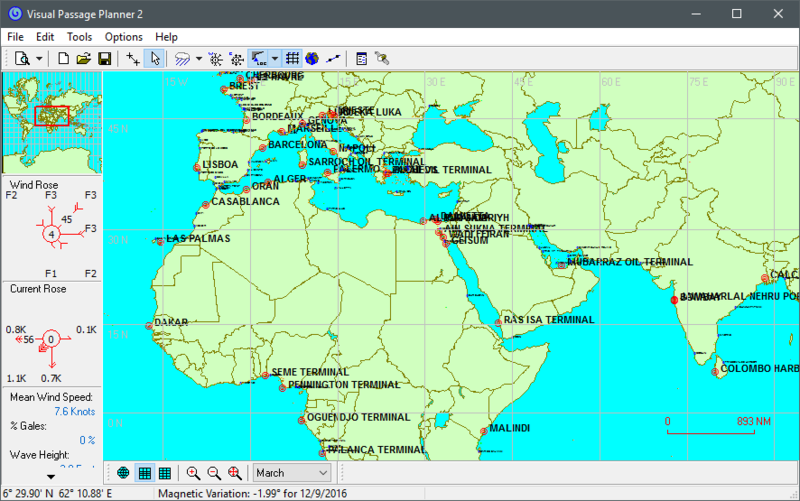 "Really impressive is the possibility in which the software shows the optimal route between two waypoints. In some cases that resulted in surprisingly new views. 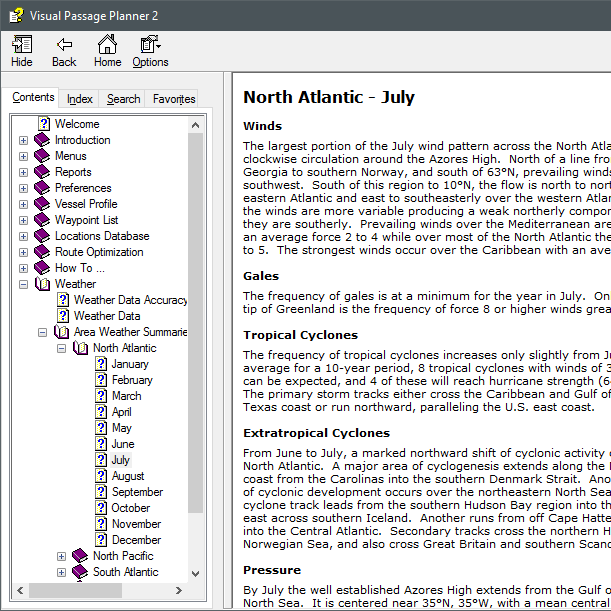 Visual Passage Planner costs significantly less than a complete set of Pilot Atlases for the entire world. But even if that wasn’t the case, we would gladly turn in our pile of paper for the CD-Rom".